During the course of the last decade, Luxembourg has become one of the most important hubs for private equity capital raising and transaction activity in the world. Every year Luxembourg investment platforms raise huge amounts of capital and deploy it across hundreds of private equity transactions within the European Union and beyond, and this year was no exception. Luxembourg investment platforms come in different shapes and sizes, as do the managers that manage them. From the mega funds with multibillion-euro flagship funds established in Luxembourg managed by Luxembourg AIFMs with many hundreds of Luxembourg holding companies, to more bespoke, stand-alone structures. Private equity managers with a substantial presence in Luxembourg include EQT, CVC, Apollo, Oaktree, Blackstone and Lone Star. With so many private equity investments being held by Luxembourg holding companies, it is no surprise that a large and increasing number of M&A transactions involve target companies or target groups that are established in Luxembourg. It is fair to say that the majority of M&A activity involving Luxembourg companies concerns holding companies (i.e., Luxembourg companies that hold assets outside Luxembourg, rather than operational companies). However, private equity funds have acquired and continue to participate in sales processes involving Luxembourg based businesses. Popular sectors include fintech, trust companies and service providers, third-party ‘ManCos’ and real estate assets. Recent deals include Marlin Equity Partners acquiring a majority stake in Talkwalker, the listening and analytics company, and Permira backing Alter Domus, the trust company and service provider. A Luxembourg private equity structure will often involve co-investment, joint venture arrangements or management incentivisation. In these structures, rather than being wholly owned by the fund, equity or debt instruments are issued by the Luxembourg company to various stakeholders, and for the sponsor it will be essential to maintain control. It is possible under Luxembourg law for the sponsor to maintain that control, while at the same time accommodating the commercial interests of other stakeholders, provided that the appropriate types of company and instruments are used and the rights and obligations of each party are clearly set out in applicable contractual arrangements as well as the constitutional documents of the Luxembourg company. A key structuring discussion will be in relation to the form of instruments to be issued. Luxembourg law provides for a wide range of possibilities: ordinary share capital, preferred equity, redeemable shares, tracking shares, founder shares, preferred equity certificates, fixed interest loans and bonds, variable interest loans and bonds, or (as is typically the case) some combination of these. A common reason for having a mix of instruments, rather than financing purely through equity, is to avoid a ‘cash trap’ situation in which there are insufficient distributable amounts to enable a dividend to be declared or shares to be redeemed. The sharing of the proceeds of an investment – whether during the life of the investment or at exit – can be disproportionate to the amount of share capital or (in the case of debt) principal held by the relevant stakeholders. Management or other stakeholders can hold a de minimis stake in percentage terms, and therefore (in the case of equity and debt instruments such as bonds that are subject to voting arrangements) a small proportion of voting power, while participating in substantial upside via a commercially agreed waterfall that is linked to IRR performance. There are some Luxembourg law constraints (for example, it is not possible to entirely exclude the risk of losses or the possibility of obtaining a return – the clause léonine rule), but in general parties have contractual freedom to set out their agreed commercial terms. Private equity sponsors who structure management incentivisation packages (MIPs) using Luxembourg companies will wish to ensure that management cannot prevent them from exercising control and, for example, exiting when the time is right. Management would typically hold a small number of shares and undertake either not to vote or to vote as the sponsor directs. Such voting waivers and undertakings need to be carefully drafted, and are often combined with default clauses, powers of attorney, call options or share pledges. Following the recent reform of the Luxembourg companies act, it is possible for a board to suspend the voting rights of a shareholder who breaches the company’s constitution. It is also possible in certain types of Luxembourg companies to issue non-voting shares. Where this is not possible, founder shares are a common alternative. These do not form part of the share capital but may be voting or non-voting and may have such economic rights as the articles provide. Ensuring that management exits when required to do so can be achieved in a number of ways: (1) drag-along provisions backed by call options or share pledges in favour of the sponsor or fund, or (2) by ‘corralling’ management into a separate MIP vehicle such as an SCA (partnership limited by shares) or SCS which then invests alongside the main fund. Such a MIP vehicle would typically be managed by the sponsor, so that any consents that are needed in connection with an exit are certain to be given, with management holding limited partnership interests and, typically, having the benefit of certain limited veto rights that are designed to protect their economic interests. If there are disputes with or among management as to their respective entitlements, these disputes are isolated within the MIP vehicle and litigation will not threaten to derail the sales process. The Luxembourg ‘toolbox’ has expanded over the years and is now extensive and able to accommodate most structuring requirements. A typical private equity investment structure might include one or more limited partnership (SCS) or special limited partnership (SCSp) funds in order to raise capital from investors at the top of the structure, and multiple master, intermediate or asset level holding companies (often Sàrls) below the fund. These holding companies are typically used in order to accommodate co-investors or joint venture partners, obtain senior, mezzanine or other forms of financing, issue bonds, incentivise management or simply block potential liability. The Sàrl remains the most frequently used type of Luxembourg entity, but in terms of relative growth the SCS and SCSp have become tremendously popular. Each of these vehicles has specific features from a legal and tax perspective, and it is very important to consider these features in light of the commercial drivers and dynamics of the particular structure. Increasingly, transaction documents are governed by Luxembourg, as opposed to English or New York, law. 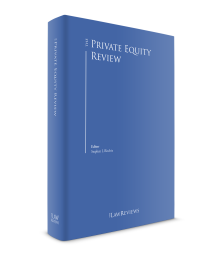 Private equity players are increasingly comfortable with the LPAs (limited partnership agreements) of their flagship funds, investment or shareholders’ agreements of their co-investments, joint ventures or MIPs and SPAs governing their exits or acquisitions to be governed by Luxembourg law and submitted to Luxembourg courts or arbitration. The general principle under Luxembourg law is one of contractual freedom; however there are some constraints that parties need to bear in mind: basic contract law requirements such as ensuring that the rights and obligations of the parties are determinable, limiting the agreements and certain specific clauses in time, ensuring that transfer restrictions and voting undertakings are enforceable, the good faith principle and avoiding penalties or conditions that are under the subjective control of the party seeking to rely on them. Regardless of the governing law, Luxembourg corporate law requirements need to be taken into account, and can often have a significant effect. Corporate law issues that regularly arise on private equity structures include the rules and procedure around mergers and demergers, pre-emption rights, authorised share capital, the need for consent to transfer to third parties, the inability to have weighted voting rights at board level, the equal treatment of shareholders, the rules against abuse of assets, the need to obtain majority thresholds within each share class where the rights of holders of a particular class are adversely affected, the absence of a concept of alternate directors, conflicts of interest and financial assistance. Most market participants will be familiar with these concepts. Another issue that frequently arises is the ‘substance’ of a Luxembourg entity. This is relevant from a tax perspective, but also from a corporate perspective. Luxembourg adopts a ‘real seat’ rather than ‘incorporation’ theory, meaning that a company that is incorporated as a Luxembourg company can migrate to a different country by virtue of the shifting of its place of effective management. Care needs to be taken to maintain effective management in Luxembourg – Luxembourg-resident board members and physical board meetings, supported by robust convening processes and minute-taking. Checking the ‘substance’ of a target Luxembourg company is one of a number of due diligence issues that often arise on acquisitions of Luxembourg companies. Others include: (1) title and compliance with laws – ensuring that the company’s incorporation and subsequent corporate actions have taken place in accordance with the law, and that the shares and any other instruments have been validly issued and are held by the seller free from encumbrances, (2) ensuring that the relevant consents to transfer are identified and obtained, (3) ensuring that the company is in good standing and is up-to-date with its filings, including the approval and filing of its annual accounts, and (4) solvency. In relation to this last item, Luxembourg does not have a balance sheet solvency test, but rather a Luxembourg company is insolvent if it is unable to pay its debts when they fall due, and has lost its creditworthiness. The governance of Luxembourg companies has become increasingly sophisticated over the years. The use of two-tier board structures, committees, observers, the delegation of specific powers to specific individuals or groups of individuals, the granting of daily management powers, and the use of reserved matters are all common in private equity structures. Most Luxembourg companies will be subject to a conflict of interest regime, and board composition, quorum and voting thresholds need to be structured with the definition of ‘conflict of interest’ in mind. Board members of Luxembourg companies are subject to a range of duties and, as a general rule, owe those duties to the companies to which they have been appointed and not to the shareholders who appointed them. In certain circumstances, board members may take into account the interests of other group companies, but the ‘corporate interest’ in doing so needs to be assessed on a case-by-case basis, including the extent to which the relevant action is expressly set out in the corporate object of the company, the financial means of the company, the materiality of the relevant matter relative to those means, the extent of any remuneration to be obtained by the company and other relevant factors. Director and officer insurance and indemnity is very common, as is the granting of ‘discharge’ at the annual general meeting of shareholders and at exit. We are yet to see frequent use of ‘fairness opinions’ on PE deals in the same way as they are used in other jurisdictions. Luxembourg law requires valuations to be prepared in certain circumstances, for example upon a contribution in kind of an asset to certain types of Luxembourg company. But there is no general trend towards boards obtaining fairness opinions to support their decisions on exits. Shareholders of Luxembourg companies do not owe fiduciary duties to the companies in which they participate. However, parties to Luxembourg law governed contracts do owe a general duty of good faith, and there are rules against abuse of corporate assets and similar minority protections. It is often crucial to ensure that liability with respect to a particular investment, external financing or joint venture arrangement is blocked and managed at an appropriate level, away from the flagship fund or master holding company. Piercing the corporate veil (i.e., a shareholder becoming responsible for the liabilities of a limited liability company) is rare under Luxembourg law, and parties can have confidence that in the absence of a dissolution, merger or similar form of corporate transaction whereby one entity absorbs the assets and liabilities of another, and for so long as the relevant company has normal governance and is managed in a manner that is independent of its shareholders, the liability blocker will be effective. The Luxembourg securitisation vehicle (i.e., a company that is subject to the Luxembourg securitisation act of 22 March 2004, as amended) goes one step further, and allows for statutory segregation or ring-fencing of compartments: investors in and creditors of one compartment may not sue on the assets of another compartment. The Securitisation Act 2004 also expressly recognises the validity of limited recourse, subordination, non-seizure and non-petition provisions. The main development in recent years in Luxembourg was the new Companies Act in 2016 and its ‘bedding in’, as market participants become familiar with its practical impact. One area that has been the subject of significant attention in contractual documentation and articles of association is the ‘Section 189 issue’. Section 189 applies to Sàrls and, as well as requiring transfers to third parties to be approved by shareholders representing three-quarters of the share capital, gives shareholders a right to exit by offering their shares to other shareholders or to the company at a price that is set out in the articles or, if no price is stated, at a price to be determined by a court. This may be inconsistent with the commercial intent of the parties and, if that is the case, a number of possible solutions can be deployed. Some market participants simply retain the Section 189 mechanism but state a low price, thus disincentivising its use. An increasingly important structuring driver is speed. The ability to move quickly is often key to winning sale processes, and in order to be able to do so while preserving good governance, strong information flows and processes need to be put in place. Relevant corporate bodies need to have the information and time that they require in order to make an informed decision on a particular matter, and once that matter has been approved it needs to be implemented quickly: cash often needs to flow down a structure in a matter of hours. Often that cash is injected into a Luxembourg company as a combination of debt and equity. On the equity side, the issuance of share capital in most types of companies (excluding certain funds) requires an extraordinary general meeting before a Luxembourg notary, additional notary KYC formalities and the blocking of the subscription moneys pending the issuance of shares. Often this needs to take place at multiple levels. In response, certain market participants make use of the ‘capital surplus’ or ‘equity reserve account’ procedure, which is intended to constitute equity without the issuance of shares and avoid the need for a notary. This is not a mechanism that is set out in the law and it should only be used with appropriate and specific accounting, tax and legal advice. Certain market participants have moved or are moving away from this mechanism and instead use a form of convertible ‘shareholder advance’ in order to solve the logistical constraints involved in issuing share capital. The shareholder advance is converted or capitalised into the relevant mix of share capital (with or without issuance premium) and debt as soon as possible following the actual flow of funds. 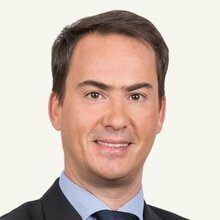 There have been a number of recent developments in Luxembourg tax law that may have an impact on Luxembourg companies that are used in private equity transactions. Until recently, groups whose members carry out activities in the area of insurance, finance or asset management could, under certain circumstances, benefit from a VAT exemption in Luxembourg on services related to certain common support functions provided to members of the same group. This VAT exemption flowed from a broad interpretation in Luxembourg of the scope of the independent group of persons (IGP) exemption, as implemented by the VAT Council Directive 2006/112 (the VAT Directive). The Court of Justice of the European Union (CJEU) recently ruled that the Luxembourg implementation of the IGP exemption is too extensive and, therefore, not in line with the provisions of the VAT Directive. Following this decision, the grand-ducal decree implementing the IGP exemption has been repealed. The Luxembourg government is envisioning implementing VAT grouping rules in Luxembourg. The main outcome of such rules would be that VAT on services rendered within the same group would be mitigated. The VAT group could only be entered into by persons established in Luxembourg (or with a fixed establishment in Luxembourg) in order for the rules to be compliant with the VAT Directive. Moreover, the members would need to be closely bound to one another by financial, economic and organisational links. It remains to be seen whether VAT grouping rules could offer new opportunities for Luxembourg companies that are used in private equity structures. In addition to the general duties applicable to them, board members have to ensure that the company they manage complies with its direct tax obligations. This is important since a board member may, under certain circumstances, be held personally and jointly liable for the payment of direct taxes due by the company in case of non-compliance with such obligations. The Luxembourg legislator recently extended these rules to VAT matters. A board member may now also be held personally and jointly liable for the payment of VAT due by the company, in case the company does not comply with its VAT obligations, such as the payment of VAT, the registration for VAT purposes, the filing of VAT returns and the invoicing. These provisions apply to managing directors and directors, as well as appointed or de facto managers handling the day-to-day management of the company. A board member may only be held liable if the non-compliance with tax or VAT obligations is due to the culpable violation of the board member’s duties. In such case, the administration may issue a notice of secondary liability to the director in question. A compliant may be lodged against such notice. It is interesting to note that the direct tax administration does not balk at issuing such notices of secondary liability to board members. Moreover, case law condemning board members for the payment of direct tax has recently increased. Negligent non-compliance of tax obligations has thus become a risk factor for board members and for companies. This is supported by the fact that penalties for non-compliance have recently been increased by the legislator. Great attention should generally be given by private equity operators to tax compliance in Luxembourg. 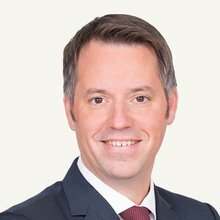 There is recent Luxembourg case law regarding the tax treatment of share repurchases or share buy-backs by Luxembourg corporations. It offers interesting cash extraction opportunities for fund structures investing through Luxembourg. In a recent decision, dated 23 November 2017, No. 39193C, the administrative court clarified that a repurchase of shares should be considered as a disposal of these shares, and not as a dividend distribution. It does not matter, according to the administrative court, whether the shareholder has all or some of its shares redeemed or whether the shares redeemed are cancelled following the redemption. The court further explained that no withholding tax should thus be applied on the repurchase price paid to the selling shareholder, provided that such repurchase price corresponds to the market value of the shares. Whether they are acquiring assets within Luxembourg or beyond, private equity funds typically obtain external finance. Luxembourg benefits from a strong but flexible legal framework when it comes to the options for financing private equity transactions. Sponsors can choose from a wide range of financing methods, which vary from equity or equity-linked instruments, to hybrid instruments, to pure debt instruments. Standard bank financing remains the preferred method of financing and normally accounts for the major part of the funding of a private equity transaction. Private equity transactions up to €200 million are commonly financed solely by one major international bank. On larger deals, borrowers often approach syndicates in order to raise the required funds. Although these bank loans normally do not originate in Luxembourg, the borrowers, guarantors and obligors are often Luxembourg-based companies. In recent years, Luxembourg-based alternatives such as debt funds provide an increasingly attractive complement to the standard bank loans, as those funds can often offer better terms. Issuances of high-yield debt securities are becoming increasingly popular, and they offer great flexibility. This method of financing attracts less public attention as compared to standard loans but opens the door to the international capital markets and therefore also to additional capital. The Luxembourg Stock Exchange is very competent and most high-yield debt securities are either listed on the regulated market or on the Euro MTF of the Luxembourg Stock Exchange. Transactions that require a large amount of external funding are commonly financed by a combination of loans and bonds. The Luxembourg Collateral Act (of 5 August 2005, as amended) provides a very robust and efficient framework to allow lenders and other creditors to protect their interests. The most frequent way of securing indebtedness in Luxembourg is by pledging the assets of the borrower and the assets of other members of the borrower’s group. This can take the form of a pledge agreement over shares, receivables or bank accounts. 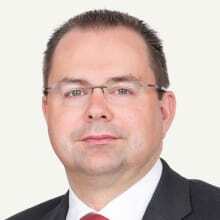 The robustness of the Collateral Act is a key feature contributing to the attractiveness of Luxembourg as a major hub for European and global private equity transactions – many lenders insist on Luxembourg borrowers and will even have their preferred form of Luxembourg law governed security documentation. Many of the domestic deals in Luxembourg are subject to regulatory approval, and involve commitments being given by the private equity buyer to the relevant regulator. Sale processes are often specifically adapted in order to accommodate the requirements of the CSSF (the financial sector regulator) or the CAA (the insurance sector regulator) regarding client information. Electronic data rooms need to be used carefully, and are often combined with physical data rooms and staggered disclosure. Otherwise sale processes involving Luxembourg targets will be familiar to the international buyer – there are few local idiosyncrasies. Warranty and indemnity insurance is increasingly popular. The countdown has begun for the implementation of ATAD into Luxembourg domestic tax law. Part of the ATAD measures, such as the interest deduction limitation rules, the general anti-abuse rule and rules on controlled foreign corporations are expected to be implemented before 1 January 2019. That timing should also coincide with the entry into force of the OECD multilateral instrument (MLI) modifying more than 1,000 double tax treaties. Rules to fight against hybrid mismatches should follow in 2020. It is too early to predict with certainty what the impact of ATAD and the MLI will be on fund structures involving Luxembourg companies. The impact of interest deduction limitation rules should be monitored. Under ATAD, the 30 per cent EBITDA rule only applies to exceeding borrowing expenses incurred by Luxembourg companies. This means that full debt financing back-to-back situations are not targeted by ATAD. Moreover, equity investments, which are partially financed by debt instruments, would also not be affected by this rule, provided that dividends and capital gains received or realised by a Luxembourg company benefit from the participation exemption in Luxembourg. The principal purpose test in tax treaties, which will be introduced pursuant to the MLI, should only affect fund structures if it can be inferred from objective facts that the access to tax treaties concluded by Luxembourg was one of the principal purposes for the use of special purpose vehicles. In order to mitigate a potential negative impact of such measure, asset managers will need to ensure that their structures are aligned with their operational set-up. Funds investing through Luxembourg may also be affected by future rules on hybrid mismatches and controlled foreign corporations. At this stage, it is difficult to assess the impact of ATAD, as the Luxembourg government has not yet published any bills of law for its implementation into Luxembourg domestic law. Looking ahead, we expect to see Luxembourg continue to develop as a private equity hub. While domestic PE M&A activity is unlikely to increase dramatically, due to the limited number of potential targets, the buying and selling of Luxembourg holding companies and the general use of Luxembourg investment platforms for deploying capital on PE deals is accelerating, as is the size of managers’ teams on the ground and the use of Luxembourg law in transaction documents. We expect these trends to continue. 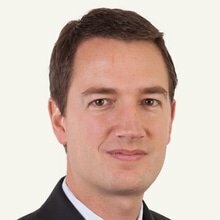 1 Frank Mausen, Peter Myners, Patrick Mischo and Jean-Christian Six are partners at Allen & Overy.